The Accumulair Diamond with its MERV 13 rating is one of the highest efficiency filters on the market! 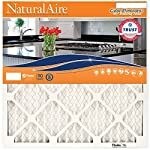 Great for helping reduce airborne allergens such as bacteria, particles that carry viruses, pollen, mold spores, fine dust, and pet dander. Accumulair filter material will not support the development of mold, mildew, bacteria or other microorganisms in normal use. No chemicals added. 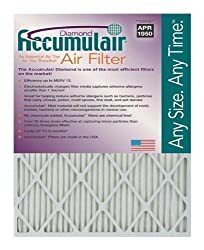 Accumulair filters are chemical free! MERV 13 Rating Great for helping reduce airborne allergens such as bacteria, particles that carry viruses, pollen, mold spores, fine dust, and pet dander. Each filter lasts up to 3 months. 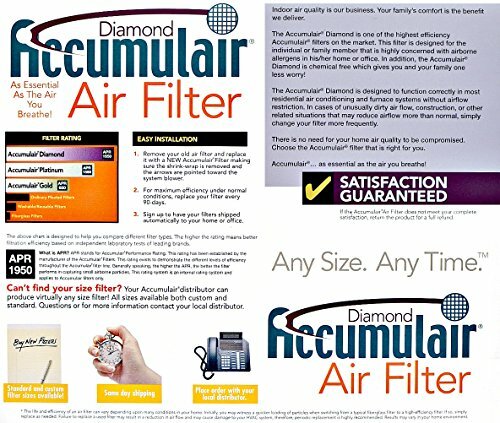 Electrostatically charged filter media captures airborne allergens smaller than 1 micron!